Business Communications is an absolutely critical aspect of any organization, and has been since the invention of the telephone. Whether your organization is looking for a way to enable internal communication, or has the need to open up external communications with clients and customers, a business phone system is an absolute must have. Not many will argue against that. However, there will be an endless debate on what the right solution or system might be. Business Telephony solutions have gone through a number of evolution and changes over the decades, with typical landline services fall way to more advanced business telephony provided by a Traditional PBX system. Utilizing a PBX would enable an organization to gain access to even more phone lines and extensions, along with advanced features like call routing, moving beyond just basic functionality of placing and receiving calls. But more recently, Business telephony has changed again. More modern developments have spawned completely digital Business VoIP solutions. However, with the exact needs and requirements of every business being different, it isn’t always as easy as simply jumping ship on a traditional or legacy solution to move all digital. With Traditional PBX solutions still standing as a popular option for large organizations, we wanted to offer an in-depth breakdown comparing these legacy solutions with more modern Business VoIP platforms. We are going to take an in-depth look into both Traditional PBX and Business VoIP solutions in order to help your business make the right purchase. Before we dive deeper into an in-depth comparison of exactly what each solution is, and what it provides an organization, it is important to take a step back and offer an easily digestible side-by-side comparison. Within this chart below, you can quickly gain and understanding of the major differences between a Traditional analogue PBX solution and a hosted Business VoIP platform. Traditional PBX solutions have been utilized for medium and large organizations for decades, and for good reason — the sheer reliability of a standard analogue connection combined with the functionality of a PBX is hard to beat. However, with the introduction of Business VoIP solutions, typically referred to as IP PBXs at times, businesses now have a comparable solution that offers much the same functionality at a fraction of the cost. 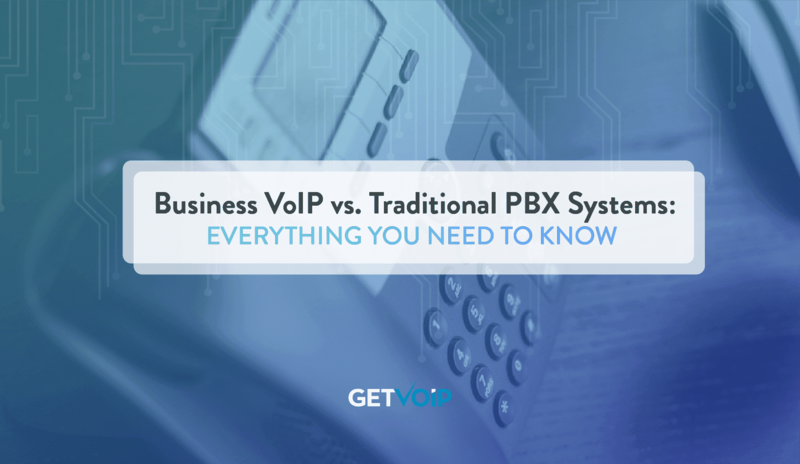 Here we will break down a rough overview of how Traditional PBX and Hosted VoIP contrast one another. Just like with any other solution or platform, there are tradeoffs between each. While it might seem like Business VoIP solutions are immediately the better option, the decision will ultimately be much more nuanced and rely heavy on the specific needs of an organization. Scalability Difficult – Scaling a PBX solution can be difficult and costly, as this will require the installation of new hardware. If your organization is looking to expand the service to new locations, this requires new hardware to be installed at each location, generally by an experienced technician. Easy – Organizations can simply add on additional users without the need to purchase any additional hardware or phone lines. Sometimes a plan upgrade is required which may increase overall cost. Customization Difficult – Customization of a PBX requires an experienced and knowledgeable technician, and the addition of new features or functionalities generally requires the addition of new hardware. Easy – One of VoIP’s strongest benefits is the level of customization available. Users can customize subscriptions to choose specific services or features. Users can specify greetings, business hours, individual user extensions, calling options, and much more. Phone Compatibility Limited – Traditional PBX solutions typically require proprietary phones that will be either system or vendor locked and cannot be utilized with other solutions. Lots of Options – VoIP solutions do not always require dedicated desk phones, as users can utilize the service on their mobile device or a virtual soft phone on their computer. IP Desk phones designed for VoIP are continuously being introduced and users can even utilize older style landline desk phones with an adapter. Reliability High, but Variable – Traditional PBX solutions do not rely specifically on an internet connection like VoIP, but instead connect to the traditional PSTN. However, with PBX hardware installed on location, and maintained by the organization, if a problem does occur it can be costly or difficult to restore service. Because of a single on premise location, traditional PBX solutions also lack redundancy in their setup. High, but Variable – Despite common misconceptions, VoIP solutions have improve their reliability over time. The introduction of more capable internet services have enabled organizations to take full advantage of VoIP without the worry of disruptions, jitters or dropped calls. Carriers also promise 99.9% or greater uptime. However, as VoIP is reliant on an internet connection, with a poor connection users will experience poor call quality. VoIP solutions are based on the vendor’s network of data centers will traditionally include redundancy of data centers to ensure consistency. 911 Access Included and available even when internet/electricity has gone down. Included, and paid for by taxes. Some services may even include E911 functionality. Security High – Like landlines, traditional PBX’s are analogue in nature and transfer voice data through the copper lines of the PSTN. This prevents hacking. Security can also be enhanced with a Session Border Controller. Dependent – While VoIP may seem more vulnerable, this will come down to both the Provider’s security practices, as well as the individual organization’s. Encryption has become more common, and firewalls are a must have for any business. Domestic Calling Always included and generally unlimited. Always included and unlimited. Some providers may offer a per-minute plan, but unlimited calling has become standard for the more basic or advanced plans that most businesses will utilize. International Calling Generally included, but charged at a per-minute rate like a traditional landline solution. Inexpensive – Some providers offer Unlimited International Calling plans while others will charge on a per minute basis, as low as $0.02 a minute. Vendor Selection Limited depending on location, as traditional PBXs are falling in popularity due to the rise of an IP PBX Generally not limited by location with many options to choose from. Contracts More likely, providers will generally require a contract with annual terms and rates. Less likely, some providers offer pay-as-you-go plans (for example, check out the Amazon Connect pricing structure) and most do not require contracts for monthly plans. While traditional PBX solutions have become a staple for medium and large Enterprise organizations, their popularity is quickly shrinking. 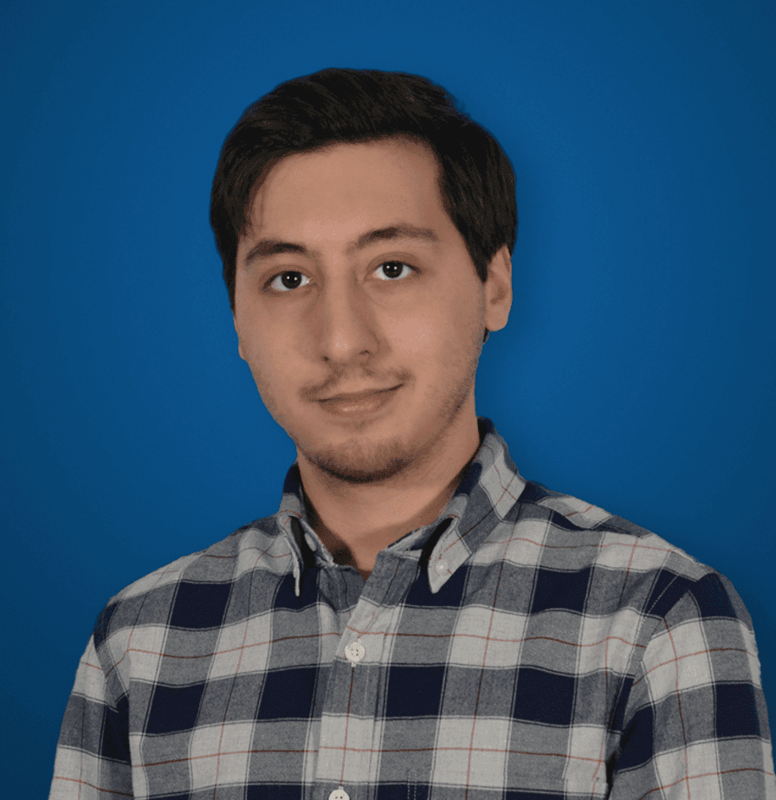 The traditional analogue approach, combined with on premise hardware, can still make a strong case for those teams that are searching for absolute reliability and security without sacrificing functionality (especially when compared to a standard Landline connection). However, with the increase in reliability and accessibility of both internet connections and Business VoIP solutions, the initial and overall costs associated with a traditional PBX are large limiting factors for most organizations that are looking to gain the best solution, while also cutting costs. The reliability and security of a traditional PBX solution absolutely does come at a cost, and requires the maintenance and installation to be operated by an experienced and knowledgeable team of professionals. While a large scale Enterprise will typically have their own on-staff IT department, this can be another major roadblock for smaller organizations looking to gain the functionality previously reserved for these complex solutions. As I’ve already mentioned, the type of solution that your organization will utilize will come down to a number of factors that cannot be easily summed up in just one discussion. For example, a large scale Enterprise might prefer the total control gained with a traditional PBX, meanwhile a smaller organization will prefer the simplicity of a hosted Business VoIP solution. On the other hand, even large Enterprise organizations might seek out the enhanced flexibility and functionality of a Business VoIP solution. Here we are going to breakdown the major advantages and disadvantages of each solution to help your organization better understand how each will best benefit the business. Enables an organization to have more phone lines. As opposed to requiring each individual user to have their own dedicated phone line, a PBX introduces new phone lines with extensions, and routes calls appropriately. Highly reliable as the service does not require a constant internet connection or even electrical power, or even the vendor’s network of data centers. On-site equipment puts full control of the system in the hands of the business in terms of customization, maintenance and reliability. Call Quality is typically higher than that of VoIP due to the analogue nature of traditional PBX solutions. Without relying on an internet connection, calls do not experience interruptions or latency issues. Highly secure as data is not being converted and transmitted through the internet as packets, but rather the copper lines and analogue equipment of the PSTN, which is simply not as susceptible to hacking or tapping. The fixed cost nature of a PBX can allow for easier budgeting and planning. Allows for internal communication generally without any additional cost. A wide option of hardware and phones area available. In fact, VoIP does not require any physical phones and can utilize your mobile device, or a software phone on your computer. These systems are very costly. Not only does your organization need to purchase the physical PBX hardware, including the PBX itself as well as additional proprietary phones, features and functionalities also generally require the addition of new hardware. This all then needs to be installed and maintained by a trained staff, and overall annual costs of running the service are much higher than VoIP solutions. Functionality and features are still limited. While functionality is greatly increased over a traditional landline due to the nature of a physical PBX, the features available are still limited when compared to a hosted Business VoIP solution, and again will require the installation of new hardware. Customization is limited and expensive. While available with full control in the hands of the business due to the nature of an on premise solution, changing the system requires a knowledgeable and trained team to manage and control, further increasing costs and slowing down business expansion. While PBX solutions can be expanded among locations, this requires either the installation of new PBX hardware, or the creation of an organization based hybrid VoIP approach, further adding to complexity and cost. Availability is quickly dwindling as many organizations are opting for a cheaper and easier IP PBX or Business VoIP solution that does not require the installation of hardware or associated maintenance. IP Desk Phones for traditional PBXs are generally proprietary and therefore limiting in the options available. This increases cost and complexity of initial setup, and can hinder the transition to a new solution. One of the largest downsides to a traditional PBX is the complexity of the solution. Since traditional PBX’s are physical analogue pieces of hardware, these solutions need to be installed on the organization’s premise, requiring the knowledge of an experience team. These solutions are typically made up of the physical PBX itself, along with a dedicated computer to handle the incoming and outgoing calls, telephone trunks that terminate at the PBX, the network of PBX lines as well as a console or switchboard for a human operator if the organization deems necessary. All of these physical pieces of equipment must be installed and configured correctly to ensure the solution runs without any flaws, and will require maintenance by a fully staffed IT department. This alone increases the complexity and costs associated with utilizing a traditional PBX, positioning the solution generally for larger Enterprise organizations. Now, this isn’t to say that a traditional PBX is all bad — the on premise nature of the solution does not require an organization to rely on the network or customer service of a hosted or cloud provider like that of Business VoIP. Traditional PBX solutions will also include more features than that of a typical Landline, including Automatic Call Distribution, Interactive Voice Response menus, call routing, voicemail, faxing, conferencing and even detailed call records. However, this list is fairly small when compared directly to the functionality provided by a hosted Business VoIP solution, and as mentioned new functionality can require the installation of even more hardware, further adding to the complexity of the solution. When we previously took a look at traditional Landline services compared to Business VoIP solutions, one of the largest gaps between the two was the sheer difference of included features and functionality. However, that difference does not directly carry over to the traditional PBX and Business VoIP comparison. Traditional PBX solutions were originally developed to enable organizations to create and manage multiple incoming and outgoing calls on individual lines, while utilizing the same calling service. To put this into simpler words: a PBX simply segments different phone numbers and lines internally while only utilizing a small number of external phone lines. Instead of purchasing 1,000 individual phone lines, a PBX enables an organization to utilize just a few external phone lines while providing employees and teams with their own extensions. Along with this, traditional PBX solutions typically include additional features and functionalities not found on standard Landline connections. Generally surrounding call control and routing, traditional PBX solutions have long been the standard for organizations that need more than just incoming and outgoing calls. However, with the introduction of hosted Business VoIP solutions, the features and functionalities available have only continued to grow, while also maintaining a lower cost. Let’s take a closer look to better understand this divide between the solutions. * These features will not always be included directly with the plan and might require additional hardware, or in the case of Hosted VoIP, an increased cost. 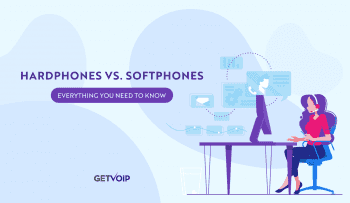 Just as we mentioned in our previous comparison, this list of VoIP features and functions is by no means 100% comprehensive. Different providers will place a different focus on their individual platforms, and may offer greater or lesser functionality for specific scenarios and use-cases. In fact, many different providers will different features broken down into different payment plans, enabling organizations to choose exactly what they need, instead of paying for everything and having to weed out the unnecessary features. Some providers will even extend their functionality beyond these basic and more modern call controls. 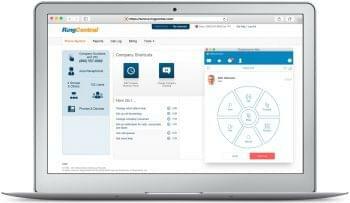 For example, Vonage is continuing to expand their platform and has both recently included Video based APIs with their TokBox acquisition, and now advanced Contact Center functionality. This is due to the nature of hosted solutions, as they do not require physical hardware their features can be expanded with simple over the internet updates. This is of course one of the largest benefits behind a hosted solution like Business VoIP, without the need for hardware, providers can include much greater functionality at a lower cast. These solutions have also pushed further into the modern, digital age with enhanced mobile support including mobile applications and features like “Find Me, Follow Me” which enable users to receive phone calls on more than one device — not just a physical desk phone. Hosted Business VoIP solutions can appropriately be viewed as the modern evolution of traditional PBX systems. I noted this during the introduction of this breakdown, and want to circle back. Traditional PBX solutions were originally designed for businesses, with the idea of increased functionality over a typical landline in mind. Originally, a PBX was simply utilized to expand the number of phone lines and extensions throughout a business, and over time was able to add on more advanced functionalities and features. That is why you will notice that a traditional PBX solution includes some advanced functionality like conferencing, ACD, IVR, individual extensions, and more. The major selling points of a traditional PBX will be the inclusion of automatic call routing, along with an IVR system that enables callers to find the right department or extension without having to dial in multiple times, or hunt for the phone number in a directory. Overall, while a traditional PBX can expand the functionality of a traditional analogue phone system beyond that of just basic calling, the major downside is the increase of cost and complexity for every feature added on. Again, the main focus of a PBX is to introduce more phone lines or “branches” based off of just a phone telephone trunks. The inclusion of new features and functionalities, even something like an IVR or ACD, will generally require either additional hardware to be installed on premise, or simply an additional cost on top of the already expensive service. Again, hosted Business VoIP solutions can be seen as the evolution of traditional PBX solutions, simply moving the idea into the digital realm. Without a doubt, the largest difference between a traditional PBX and hosted Business VoIP solution will be the sheer costs associated with each, respectively. As mentioned multiple times already, a traditional PBX alone will be a costly system, requiring the purchase of a physical PBX and associated hardware, the purchase of proprietary phones that are compatible with the system, an increased cost for phone lines and users, as well as the need for an in-house IT department to maintain and control the solution. On the other hand, Business VoIP solutions represent that absolute peak of cost savings, as they do not require costly hardware and simply offer much more for much less. However, this of course doesn’t tell the full story. We wanted to take a closer look and offer some rough numbers to help your organization better understand how these two solutions will differ in both initial and reoccurring costs. Now, I will preface this by saying traditional PBX costs are hard to come by. Because of that, we are going to offer rough estimates and provide sources and examples where possible in order to enable your team to look more in-depth. Generally, unlike a hosted Business VoIP solution, traditional PBX platforms will charge organizations based on the number of calls placed, along with the number of lines necessary. VirtualPBX offers a really great breakdown of some of the costs associated with traditional PBX systems, and as this information can be difficult to come by we wanted to utilize this research to help your team better understand what they will be paying for. Upfront Costs – These will differ depending on the specific provider and hardware your organization utilizes, but can range up into the $10,000s and beyond. This typically includes the physical PBX itself, as well as installation of the system. Virtual PBX estimates that a 5 user system can cost up to $60,000 for hardware and installation, with this number dropping to around $50,000 for a 40 user system. Telephone Lines – Again, dependent on the individual solution provider, this cost can range anywhere from $50, to $100, to even $1000 per each line necessary. Monthly Hardware Payment – Costs associated with necessary hardware don’t always disappear once the system is established. Some providers may charge a monthly cost to maintain and support the hardware, which can range anywhere from $500 to $5000 depending on the size of the system. Toll Free Minutes – Unlike hosted VoIP solutions, traditional PBX providers will generally charge for the usage of toll-free or even international minutes, placing a greater cost and limitation on your organization’s service. Monthly Maintenance – This again will differ greatly depending on the solution and exact setup of your system, but can range into the $1000 mark. This can also differ depending on if your organization is relying on the provider for maintenance, or hiring their own IT department. While these numbers are very, very rough estimations, this can provide your organization with an idea of the necessary costs associated. Unlike a Hosted VoIP provider, which many only charge based on the number of users, traditional PBX solutions include a much greater list of associated costs, pricing the solution out of the budget for most SMB organizations. We offered a very similar explanation in our Landline and Business VoIP comparison, and of course the numbers can carry over here as well. Right off the bat, Business VoIP solutions are much cheaper than comparable options. Without requiring expensive hardware to be installed and maintained on premise, you can flat out remove those initial and reoccurring costs from the equation. One of the greatest benefits with a business VoIP solution is the sheer accessibility and availability. These solutions are generally not region locked, unless looking for international providers, and there is a large number of options to choose from. These solutions are generally customizable, and simply offer a more cost effective platform. Business VoIP providers are able to offer the same service, and even more features, than a traditional PBX at a fraction of the cost by hosting the solution on their own data centers, and delivering the platform over the internet. Because there is such a wide number of options when it comes to Business IP Telepony, we are going to offer a more generalized estimation of pricing and included functionality. Depending on your exact organization’s needs, the pricing and features necessary will change. Basic plans can start as low as $15.99 per month, per user. Pricing will fluctuate based on the number of users, or even subscription time. Some providers may offer a discount on annual pricing versus month-to-month billing. No Setup Fees – It is uncommon for Business VoIP providers to require or charge a setup fee, as no physical hardware setup is required in the process. The provider will generate account information and phone numbers (or port existing numbers) and your organization will gain access to the platform. User Count – Some solutions will charge a single rate for X amount of users. For example, 1-5 users for $20 per month. Some providers will charge based on user counts specifically, meaning $15 per user, per month. Feature Limitations – While Business VoIP solutions are capable of providing additional features for no extra cost, many providers will segment their features and limit advanced functionality to the higher tiered plans. However, it is worth noting that even the most basic Business VoIP plans will include more functionality than a Landline — just look above at the listed AT&T offerings to see how limited they are. So while VoIP pricing will vary based on what your team needs, this enables organizations to pay a much lower rate for a much more feature packed service. As you can see, the availability of Business VoIP encompasses a large area of accessibility. Pricing starts low enough for even the smallest teams to afford a solution, while providing even more features than most businesses require. At the end of the day, Business VoIP solutions manage to remain cost effective, flexible to the needs of your business, and feature packed. Traditional PBX solutions are struggling to compete, and it is becoming more and more obvious as time goes on. Why Use a Traditional PBX? It goes without saying that Traditional PBX solutions are on their way out, much like their Landline counterparts. We discussed the inevitable shut down of the PSTN in our last comparison, and it is worth mentioning that this will directly impact Traditional PBX solutions as well. However, that does not mean that there does not exist a solid use case for a more traditional approach with on premise PBX solutions. In fact, the on premise nature of a traditional PBX is a strong selling point for many organizations, especially when it comes to large Enterprise companies. With on premise hardware, the business gains absolute and total control of the solution. This comes with a drawback, increased cost, but also provides a few major benefits. First off, with the hardware on site, the organization is not relying on another provider, utilizing that vendor’s data centers and servers. This enables an organization to ensure the highest level of security, compatibility with existing systems, and even reliability in some cases. When utilizing a hosted business VoIP solution, your organization is relying on the servers and customer service of that VoIP vendor — if their servers go down, then the business has to sit on its hands until service is eventually restored. This can be a major drawback for an organization that absolutely requires on their phone system, and cannot go without it even for a minute. This isn’t to say that on premise solutions can fail, but at least when they do it is in the hands of the organization itself to get it back up and running. This enhanced control is a great need and benefit for large organizations that do not want to outsource something as critical as their communication system. While costly, the overall benefit might be worth it for an organization that requires this level of consistency and control in their solution. At the end of the day, Business VoIP solutions can be seen as the modern evolution of a traditional PBX system. In fact, many providers will consider their hosted Business VoIP platforms to be more like IP PBXs, offering the same functionality of a PBX just delivered over the internet. This includes multiple extensions and lines, advanced functionality beyond that of a typical landline, and the ability to fully control and customize the system. While VoIP solutions might have been a bit rough around the edges in the early days, these solutions grown greatly in reliability, availability and accessibility. Internet connections have grown in speed and reliability as well, further bolstering the success of a Business VoIP solution. Business VoIP is seen as a new paradigm for business communications, in that it has expanded beyond just the inclusion of incoming and outgoing calls, and the features many businesses have come to rely on from a Traditional PBX like ACD and IVR. Without a doubt, the cost savings behind a Business VoIP solution is one of the major benefits and draws convincing organizations of all sizes to transition. VoIP has also introduced even more advanced functionalities beyond what a traditional PBX can offer, and has really pushed business telephony into the modern digital age. Many Business VoIP solutions can now be seen as Unified Communications, and offer modern functions like mobile usage, ring anywhere, online faxing, video conferencing, file sharing, team messaging and a host of collaboration features that extend much further an just phone calls. In fact, Business VoIP solutions are inherently mobile and flexible, which lend themselves to the new nature of constant on-the-go modern workers, who need to stay in touch no matter where they are. Traditional PBXs, on the other hand, are still tied down to physical desk phones and offer very little, if any at all, mobility. VoIP solutions can also directly integrate with many other modern business tools and software, like CRM solutions, to extend functionality even further. At the end of the day, Business VoIP solutions are the cutting edge of business communication technology and offer everything an organization needs to step into the digital age. Now, just because it seems like a Traditional PBX and Business VoIP are two sides of the same coin doesn’t mean they are not compatible in some way. In fact, a very popular approach for many large organizations would be to utilize both the mobility and flexibility of a hosted solution, with the security, consistency and control of an on premise traditional PBX. This would be a hybrid approach, blending the two solutions to enable an organization to extend their overall communication footprint. Hybrid approaches will differ vastly depending on the needs and setup a business utilizes, but the overall principles are roughly the same. A Hybrid approach will combine the on premise, legacy hardware of a PBX with the hosted nature of a VoIP solution, enabling an organization to extend their service beyond one single location. This will enable an organization to spread their service to even more users and departments, enabling some teams to utilize more modern IP desk phones. The biggest benefit with a hybrid approach is enabling remote locations to gain access to the same service that the organization’s headquarters is utilizing — instead of having to install hardware on each individual location, the organization disperses their own existing PBX service through a hosted connection. The business still gains the complete control of the solution associated with an on premise traditional PBX, with the ability to spread the service all around the world. A Hybrid approach is almost like the best of both worlds, enabling organizations to gain greater access and sometimes functionality, while still maintain the overall service in house not having to rely on a third party provider to maintain the service. We have a more in-depth discussion on hybrid solutions you can take a look at to learn more. So, let’s say your organization is currently using a traditional PBX solution, and has decided or is looking into switching over to a hosted IP platform. This in itself is a massive topic that will be covered on its own, but it is worth taking a brief look at. When it comes to establishing a VoIP solution, your organization does not require much overhead — especially if that is a cloud delivered VoIP solution. Before your organization can jump straight into a VoIP solution, there are a few steps and precautions to take. Depending on your needs and installation method, these general guidelines will vary. For example, while VoIP does not necessarily require the use of a physical desk phone, many will recommend the use of at least one IP Desk phone. The most important aspect to ensure before transiting to VoIP is an ample internet connection. 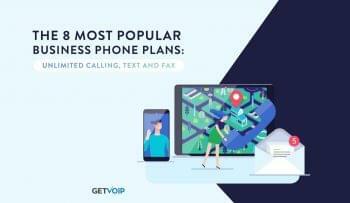 VoIP relies solely on your organization’s internet connection to make calls, as your voice is converted into data packets and then sent through the internet. Without a stable and capable internet connection, users will experience lag, jitters and even dropped packets. You can check your speed here for VoIP capabilities. VoIP calls use about 100kbps for one individual device. So, this means if your organization is going to utilize 10 VoIP lines, your internet must be capable of supporting 1,000kbps, or 1 Megabit per second (Mbps) data transfer simultaneously. The best way to do so would be to utilize a Network Test to measure Download Speeds, Upload Speeds to determine the Bandwidth of your connection. You can test your network and learn more here. Now, VoIP does not require the direct use of IP Desk phones. However, it is generally recommended to employ at least one phone as a base for your solution. Some organizations might also simply like the idea of utilizing desk phones, and providing each employee with their own station. Specific IP Desk Phones made for VoIP exist, and can even be had for under $150. Some phones have even expanded beyond basic calling functionality, like Mitel’s Smartphone integrated devices. However, your organization can still utilize existing analogue phones if that is what you have on hand. ATA adapters can be used to convert standard analog phones into VoIP compatible devices, enabling your organization to reuse existing hardware and further cut costs. Now when it comes to transition to VoIP, the most difficult aspect of the entire process will be choosing the right provider for your organization. Fortunately, a large number of options exist, and depending on the specific requirements of your organization you will find some providers a better fit than others. Thankfully, we have an extensive list and comparison of different VoIP providers throughout our website. You can check our simple Business VoIP break down, and when you want to narrow down even further specifics, you could check out our head to head series in which we dig deep compare two providers closely. Be careful of settling on the first provider you come across, and be prepared to do your homework. Individual user reviews are one of the best ways to understand the capability and reliability of a solution, and we have a collected database on each individual provider throughout our website. It can be a bit difficult to declare one specific solution as a clear winner over another. This can absolutely be said for the debate between a Traditional PBX and more modern Business VoIP solution. Modern day VoIP solutions have evolved greatly beyond their early days, and now represent an incredibly stable and cost effective solution that just about any business can take advantage of. However, that does not mean that a more analogue approach with a Traditional PBX is completely obsolete just yet. This rings especially true for large scale Enterprise organizations, particularly those with multiple locations around the globe. Traditional PBX solutions still have their place, and when utilized in a hybrid approach with a hosted solution, can represent the best of both worlds for a business that is looking to keep absolute control of their business communications platform completely in house. However, the overall costs and maintenance associated with a traditional PBX solution makes them less and less desirable to teams of all sizes as time goes on. Business VoIP solutions truly hit that sweet spot of cost and functionality provided, offering many more modern features without the need for additional hardware or costs. However, depending on the specific needs of your organization, there are a load of options to choose from when it comes to both Business VoIP, traditional PBX solutions, or even a hybrid approach to fit the exact needs of your business.